Join Amazon Web Services for the sixth in our series of webinars, 'Journey Through the AWS Cloud'. This complimentary webinar discusses the use of AWS as a storage and archive platform. A wide range of assets can be cost effectively held in highly durable storage systems within the AWS cloud, for global distribution, long term storage or cold archive. 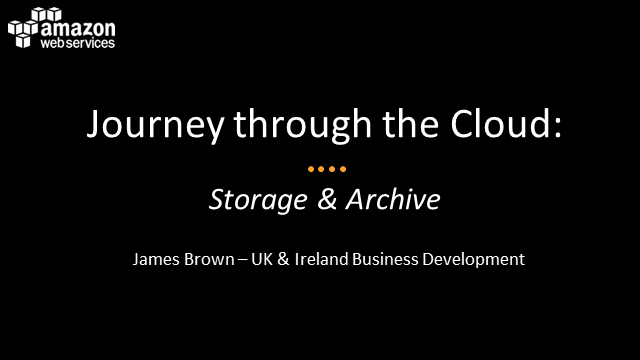 Learn about a range of use cases for the Amazon Simple Storage Service (S3) beyond simple object storage, and how Amazon Glacier can revolutionise long term archive economics and technology.